Late Fall into early Winter is such a fantastic time of year. Not only does it mean that snow is upon us, but it also means that great things are ahead. First of all, it brings in the semester’s production in the Campus Theatre. A lot of hard work goes into the production from a fantastic team of people. I’ll be posting about the production shortly, once I get the chance to sit down with the creative team and do our production debrief. On top of the campus production, this time of year also brings in Thanksgiving! Now as I usually do, I will be traveling home to spend the holiday with family, but I also tried something new this year. 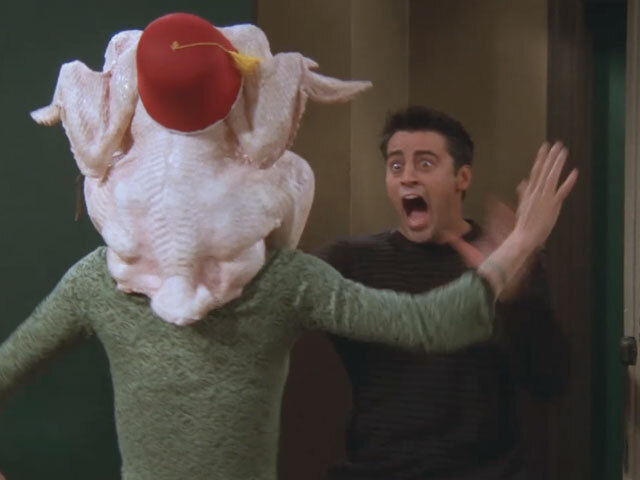 My friends and I decided this year that we should celebrate ‘Friends’giving this year before we head home for the short break. Fellow blogger Lauren, her roommate (and my good friend) Bridget and myself sat down a couple weeks ago and put together our guest list as well as what everyone would be bringing. I took on the task of cooking the turkey. I found myself calling my mom as well as the Butterball turkey hotline numerous times that morning, but at least I didn’t find myself in the same situation as our favorite group of Friends with the turkey somewhere other than the oven. Not only did we decide to cook the entire meal ourselves, we took on the daunting task of doing so for 12 people. It took a bit of time, and spread the preparation to 3 Centennial Apartments, but it all came together. 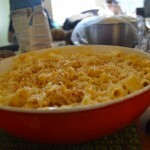 We had all the fixings, including some awesome gluten-free mac and cheese from fellow blogger, Priscilla Ly! We all came together along with the delicious food and had a great time sharing a fantastic meal with our friends. As usual with the group that came together for ‘friends’giving, many interesting conversations started and made the day that much better. 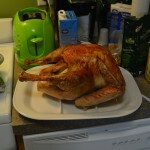 The first turkey I’ve ever cooked! 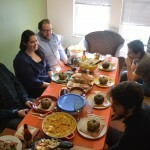 Getting the gang together for a fantastic ‘friends’giving meal. I find myself being truly thankful for all of my friends each and every day, and for all of the fantastic opportunities I’ve had over the year. I wish each and everyone a safe trip if you are traveling, and a happy Thanksgiving!